Social media, before troll toxicity and the poisonously paranoid atmosphere of fake news, was a fairly decent place. And on Twitter, all of human interaction was reduced into a lifelong series of benign likes, mundanely telling strangers about your upcoming birthday or pet cat. As a primitive attraction, inspirational messages and posts was a surefire way to increase followership numbers, while also coming across as intelligent. Every problem in life had a corresponding motivational quote: someone was randomly tweeting it or posting on Facebook and as platforms like Instagram and Twitter coronated celebrities with the verified blue tick, celebrities became visible purveyors of the motivational speaking craft. Culturally, Sean Combs aka Diddy is the quintessential omnibus of this digital trend, defined by long, industrious years of entrepreneurship in music and fashion, not to mention his stake in the everlastingly moneyed Ciroc vodka. Nigeria’s iteration of the celebrity motivational stock, while good-intentioned, often manifests through a lens of wealth and material possessions. Case in point, Instagram – a prospering topography of luxury acquisitions and their knockoffs, couched in the protocol of hashtags pushing one to hustle, to stay hungry, to not give up. 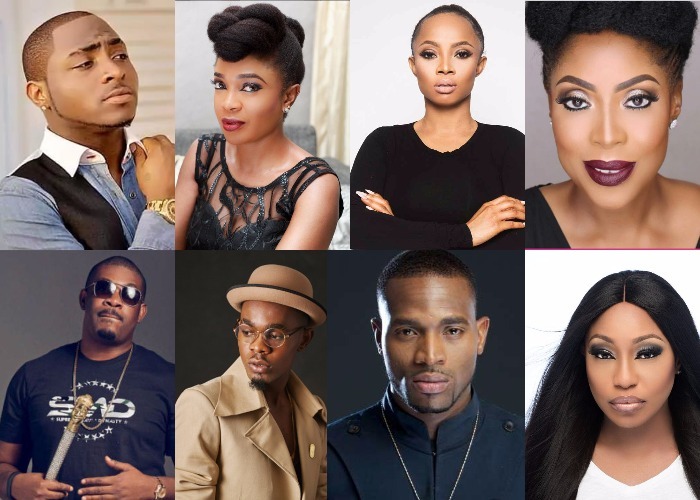 On Twitter, Toke Makinwa, Toolz, Don Jazzy, Wizkid, Davido, Simi and many more have dished out nuggets of advice to their fans. Even Gentleman crooner Ric Hassani has a dedicated but defunct account for motivational missives called Hassani Quotes. Once you begin to love your self, doors will open to, and for you. On Tuesday, Mavin Records artiste Reekado Banks advised his fans to keep hustling but was slammed by the same fans who reminded him that he was helped by Don Jazzy in his musical ascension. Motivational speaking has transcended physical spaces and public oratory, and social media has made it all digestible and accessible – even for our celebrities.